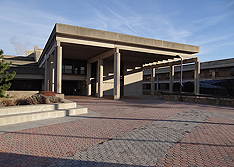 The principal responsibility of the A. Holly Patterson Library of Nassau Community College is to advance the mission of the College. To meet its commitment, the Library develops and integrates a collection of information sources in a variety of formats in support of the curriculum, while striving to stay current with advances in technology, including online and digital resources. The Library provides information literacy instruction that fosters critical thinking and lifelong learning in an environment conducive to teaching and learning. By offering these services to the College and its neighboring communities, the Library serves as a gateway to global information for a diverse population.